Summary: Every light you use should fulfill one of five roles: key, fill, backlight, set, effects. If it isn’t, turn it off. 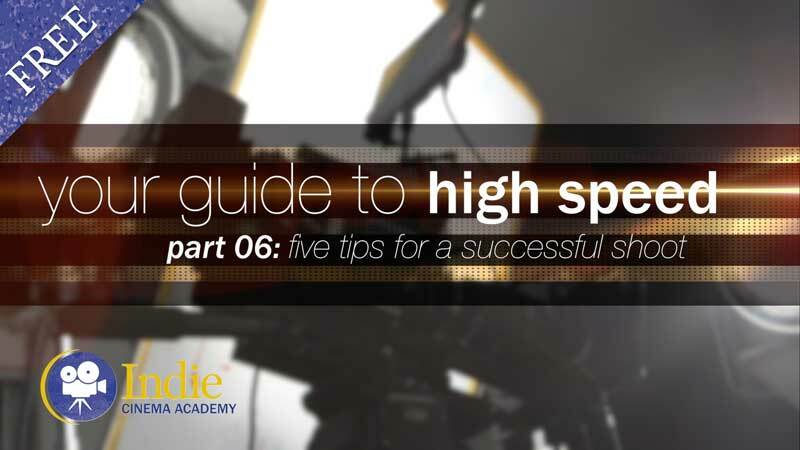 In this video Ryan covers what those five roles are, shows how they’re used to create cinematic images, offers tips on placement of each light, and gives you questions to think about when placing a light. In the last video we covered the three functions that a light has: casting shadow, creating fill, or creating separation. 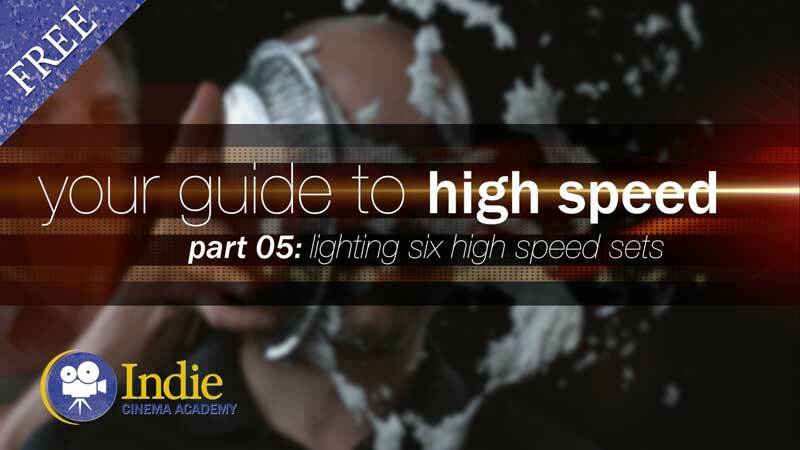 In this video we’re going to cover the five roles that a light can have, whether it is a key light, a fill light, a backlight, a set light, or an effects light. I’ll offer you tips on where to place those lights and how best to use each one. 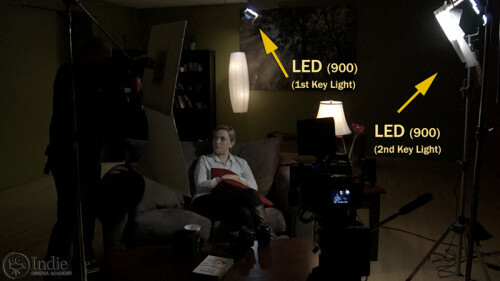 The dominate source of light for a scene or for the talent is called the key light. 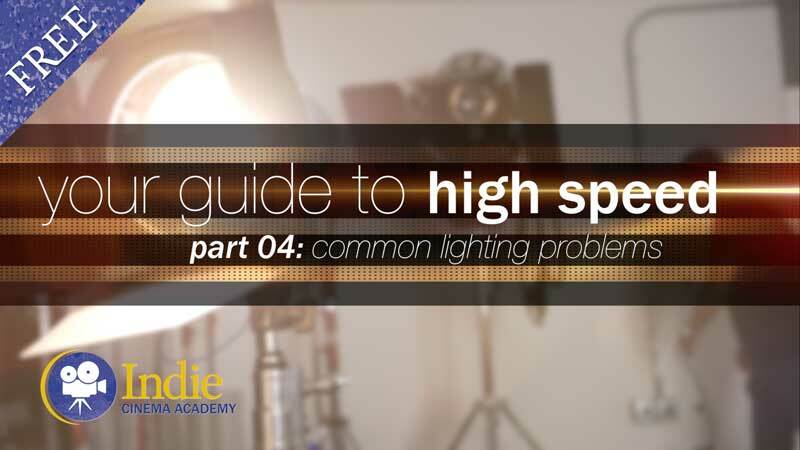 Because the key light is the main source of light, there may actually be more than one key light in a scene. For example, the talent may move from the back of the room and then sit at a couch. In that case, there are actually two key lights. The first one is when the talent is at the back of the room; at that position the key is the light coming from the lamp. And then as the talent sits at the couch, the key becomes the lamp next to the couch. 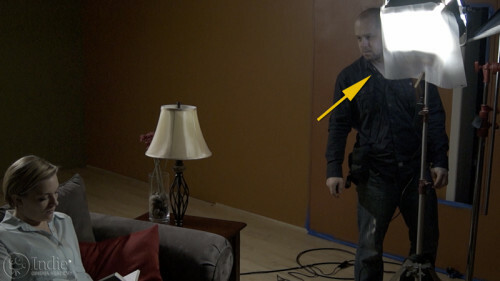 Or, if you only wanted one key light in the scene, you could turn off the lamp next to the couch, and now the lamp in the back is the key, since it’s dominant light source in the scene. 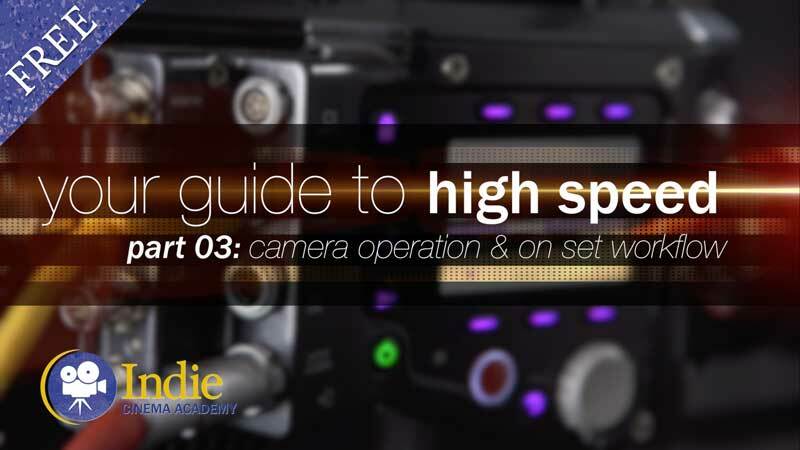 While the key light can come from any direction and there can be multiple keys in a scene, there are some basic guidelines for where to place your key light. The most flattering place to put your key light is 45 degrees off axis from the camera and 45 degrees above the talent. Beautiful work, gents! This was sooooo worth the wait. I have read about lighting a scene but the way you both show and explain it here really helps. Thank you for this. 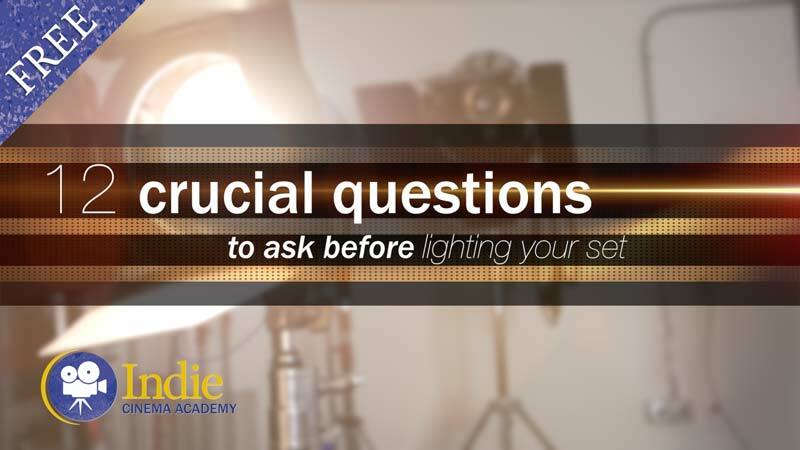 So, for me at least, one of the key takeaways is you want to purposefully build your lighting to meet the needs of your story – what you are trying to say and show – instead of to meet some theoretical construct like 3-point lighting. I am sure this gets better with experience but as a novice I have to ask is it just pure repetition, previzualization, some sort of workflow (all of the above) that gets you to proficiency quicker? I’m not trying to distill this down to a rule or formula and I know each setting and story will require something different, but there has to be a common, baseline approach that gets you to better lighting, right? I mean I see what you did here and I get it but I want to start to think that way more often so as to build muscle memory and be more consistent in how I tackle my lighting. This was excellent and I am sure I’ll pick more up in additional viewings and I can’t thank you enough for this. You are correct, that it is a bit of everything that gets you to proficiency quicker. The more you light, the more familiar you’ll get with your tools and what they do. The more you know what they do, the easier it will be to pre-visualize it in your head. And the more comfortable you get, the more you can experiment and try new things out. As far as a baseline approach goes, I’d recommend starting with turning one light on at a time, and build up the scene that way. Then you’ll be able to see what each light is doing, and figure out if it is adding to or taking away from the look. Something else I have done, is to turn off all the lights except for the one I’m working with- that way I can see exactly what it is doing. Thank Tony! We aim to make the concepts as clear as possible. Much more to come!!! You guys are strong teachers; your explanations are clear and reinforced well with solid images. Thank you for the clear distinction between rim/hair lights and edge/kickers. 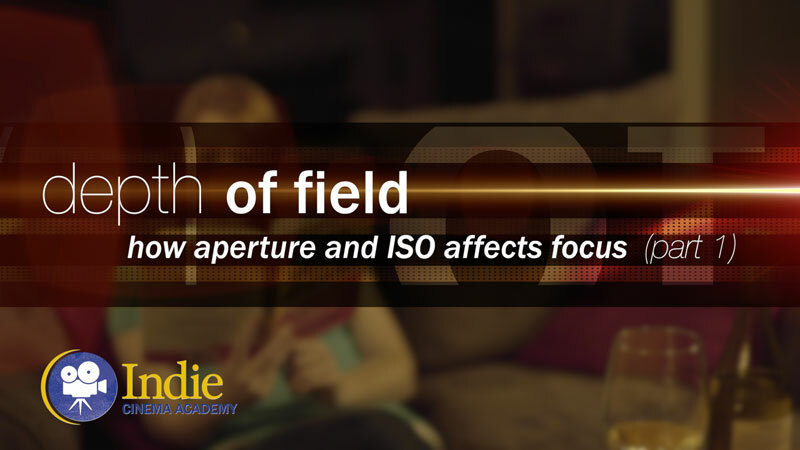 Questions: what is the 3/4 back position for the edge/kicker relative to the subject and camera? Also, regarding making the key light shadows fall toward vs. away from the camera: what is the difference in the position of the key light? It seems in the 2 comparative images that the key moved from the subject’s left to right, but how does this alter toward vs. away from the camera? 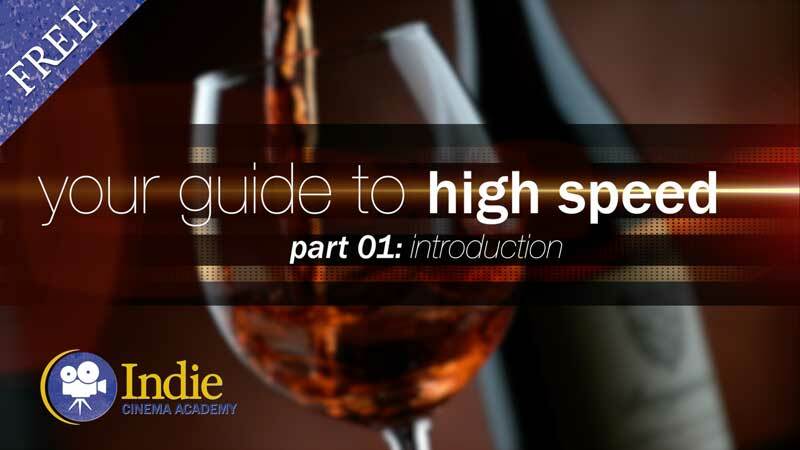 Enjoying these spatial questions? Again, I really dig the lighting diagrams and BTS shots. What are you using to create the lighting diagrams? Thanks. 🙂 Yeah, 3/4 back is relative to the subject and camera- or more precisely- the camera’s view. For example- look at the 5 Roles diagram. The lights in front of the talent, are in the frontal position, the lights behind the talent are in the back position. 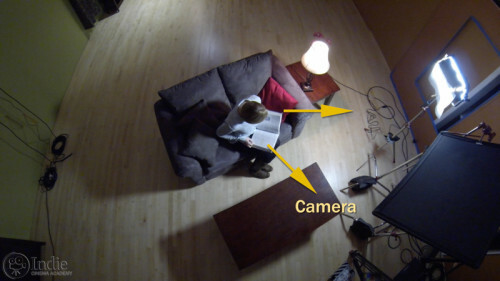 The hair light is on the same axis as the camera- it is in the full back position. If the hair light were to move either to the right or the left (around the 10-11 o’clock, or 1-2 o’clock) it would now be in a 3/4 back position. Aha, makes sense. Thanks Ryan! Software for doing similar lighting plans and a stencil link for film and tv, you can download a trial first to see if you like it, easy to use as well. Omnigraffle is a great program for that. 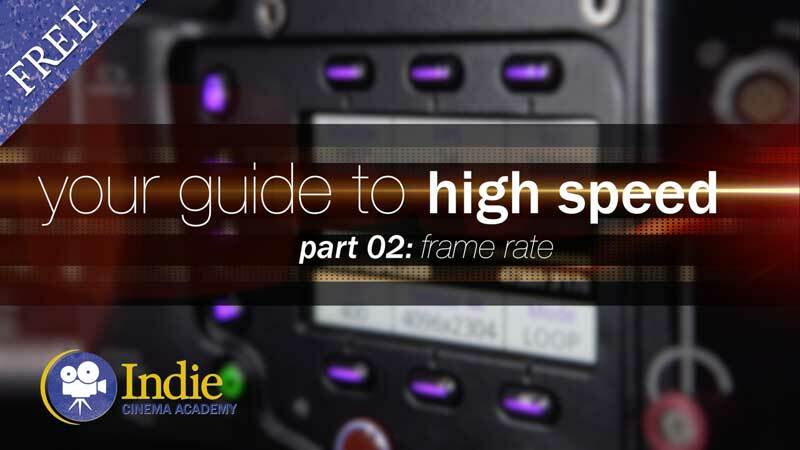 It’s what I use to start my lighting diagrams to hand off to the crew for my shoots. For these diagrams I will also incorporate another program called Shot Designer: http://www.hollywoodcamerawork.com/sd_index.html to help finesse it a bit more. As you mentioned, Omnigraffle is easy to use, and it will probably fit 80% of peoples needs. (And it works on my iPad!) Definitely worth the money if you’re making a lot of diagrams, IMO. What dimmer did you guys have the practicals running on? It isn’t hard to build as long as you know how to correctly wire the box. You can probably build your own for $20 (USD) with parts from Home Depot, Lowes, or Ace Hardware. There are other options too, such as this dimmer. Be sure to test whatever dimmer you get with the bulbs you plan to use for your production since some bulbs make a buzzing sound when dimmed that can ruin your audio. Also these dimmers are all for incandescent bulbs; if you are using LED bulbs you will need to get a dimmer specific to LEDs.